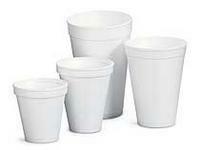 Styro "Foam" Coffee Cups. Available in 4 sizes. Choose which is best for you!! And of course, CFC Carbon free.